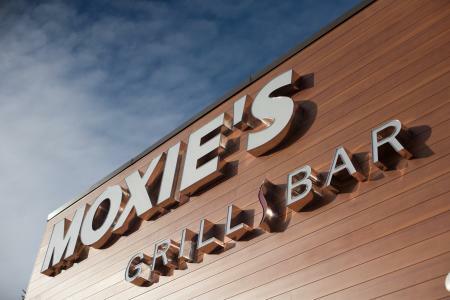 A Fresh, New Moxie’s is Now Open at Kingsway Mall in Edmonton! 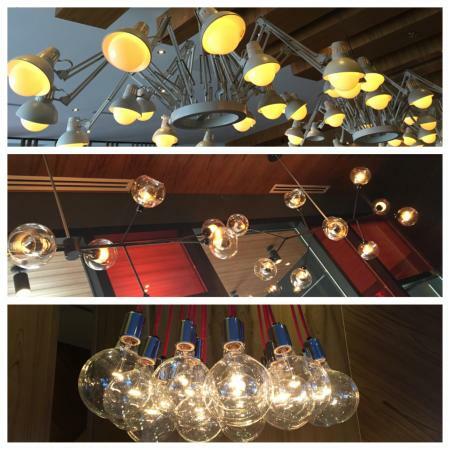 Conveniently located at Kingsway Mall, the beautiful new Moxie’s at 10628 Kingsway Avenue in Edmonton, Alberta is worth the visit! 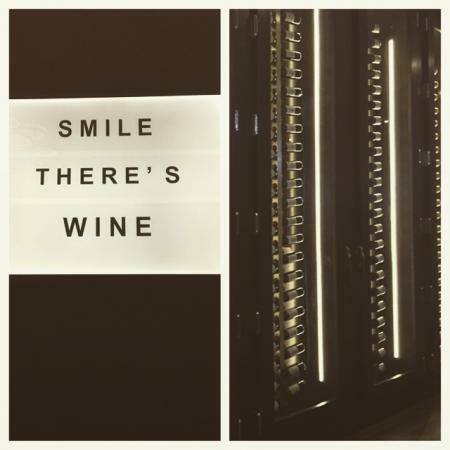 Take a look inside and the first thing you will see is the beautiful foyer chandelier along with one of the many smiling faces from our hosts welcoming you. 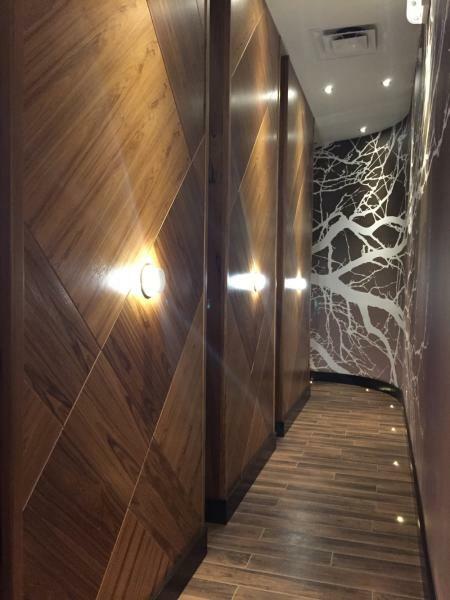 You will also notice all the teak wood accents throughout the restaurant that gives you an instant warm and welcoming feeling. The intricate roof design inside also provides optimal viewing pleasure encompassing a total of 229 seats for our guests. Moxie’s Kingsway features a beautiful dining room with three fireplaces, various booths and tables (for private dining or a big group) and modern teak finishing throughout. 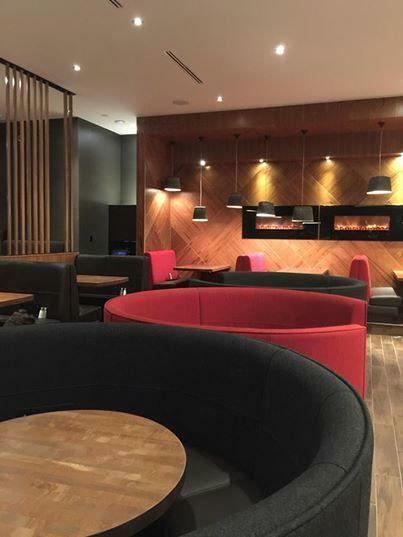 Our modern lounge area features the stunning 29 seat teak wooden bar, a large selection of urban designed booths and tables, in addition to three fireplaces and thirteen large HD TV screens. 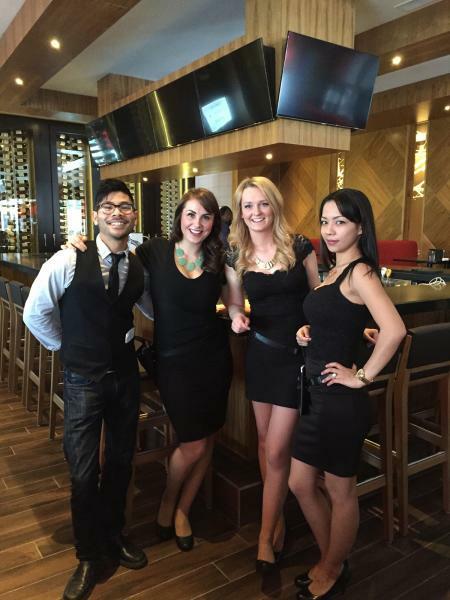 Our bar is the largest of all Moxie's in Edmonton! We even have USB ports at the bar, tables and booths so you never have to worry if your phone or laptop batteries are getting low. 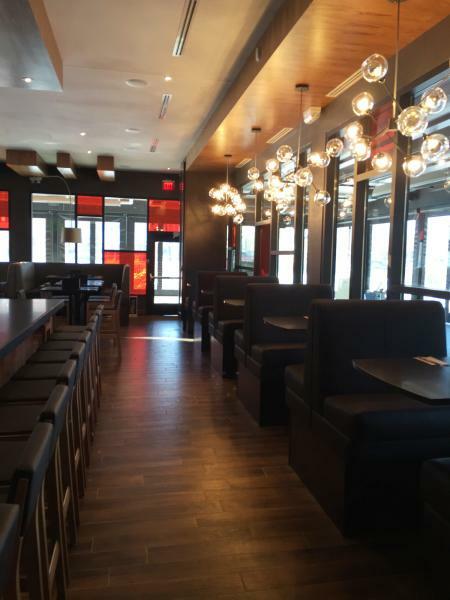 The biggest addition to the new Moxie’s Kingsway is the beautiful three season, 2,000 square foot heated patio adding an additional 84 seats for our guests. It’s the largest Moxie’s patio in all of Edmonton and features a solid roof with retractable walls to allow for seating no matter what the weather is like outside. If that isn’t enough, we also have three fire pit tables to keep you warm and cozy on those slightly chilly days. The five large TVs will keep you entertained for hours on end. Stayed tuned for the official patio open date! We are open seven days a week for lunch and dinner, late night dining and even weekend brunch, which makes Moxie’s the perfect destination for an unforgettable dining experience with family, friends or colleagues. Our culinary team, led by globally-inspired Executive Chef Brandon Thordarson and with notable contributions from Canada's Bocuse d'Or competitor Chef Alex Chen, have developed an expansive menu that provides a variety of fresh and contemporary choices that will cater to any palate. Moxie's offers something for everyone: pasta, steak, burgers, chicken, seafood, pizza and a wide range of appetizers plus house-made desserts. These choices are complimented by Sommelier Kim Spence's expertly hand-selected wine list and beautifully-crafted cocktails, from our premium bar selections. For location and hours information, please visit our location page here. Conveniently located in downtown Kamloops, across from the Thompson River, sits the latest addition to the city of Kamloops – Moxie’s!